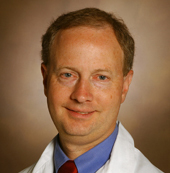 Richard Peek, MD, director of the Vanderbilt Digestive Disease Research Center (VDDRC) and chief of the Division of Gastroenterology, Hepatology and Nutrition, has been appointed to serve on the advisory council of the National Institute of Diabetes and Digestive and Kidney Diseases (NIDDK). Members of the NIDDK Advisory Council are drawn from scientific and lay communities, are appointed for four-year terms and represent all areas within the institute’s research mission. An important role of the council is to provide second-level peer review of grant applications that have been scored by scientific review groups. The council members also serve as an important liaison between the research communities they represent and the NIDDK, which supports each community’s research efforts.​ Peek’s term begins in May. Peek, who is also the Mina Cobb Wallace Professor of Immunology, heads the VDDRC, one of only 17 such DDRCs in the United States. The VDDRC facilitates a wide range of collaborative research, with the central theme being the study of microbial and host factors that impact digestive disease pathobiology as it relates to inflammation and the environment. The center includes 84 faculty investigators from 14 different departments, and is supported by a $3.75 million grant from the National Institute of Diabetes and Digestive and Kidney Diseases of the National Institutes of Health. Peek is also editor-in-chief of the medical journal Gastroenterology, the leading journal in molecular, translational and clinical science related to gastroenterology, hepatology and nutrition. Gastroenterology is the flagship journal of the American Gastroenterological Association (AGA) and is ranked in the top 1 percent of all biomedical journals, of which there are approximately 8,000. Peek is internationally known for his studies focused on the stomach-infecting bacterium Helicobacter pylori and its contribution to the pathogenesis of gastric cancer. In 2013, he was elected to membership in the Association of American Physicians, one of the nation’s most respected medical honor societies, and in 2017 he received the Ernest W. Goodpasture Award for groundbreaking research in the pathogenesis of infectious diseases awarded by the VUMC Academic Enterprise.